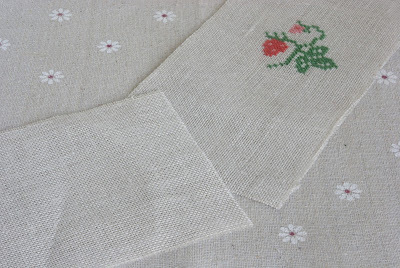 Today I was working with some lovely linen and remembered about this helpful tip that I wrote a few years ago. 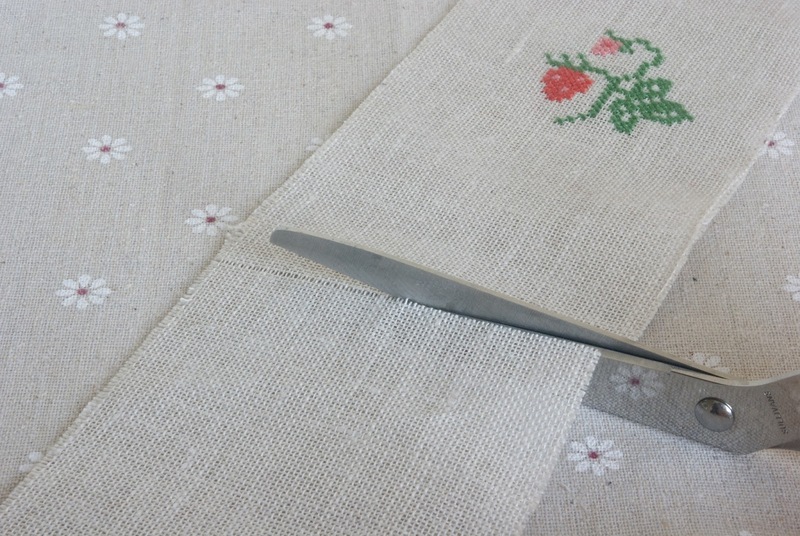 So I decided to republish this post again just in case some of you are struggling with cutting linen in a straight line. I love working with linen, but sometimes it can be quite difficult to cut it in a perfectly straight line. Unless you have a small trick up your sleeve. With this quick and easy way you won't have any trouble cutting small or large pieces of linen. Make sure that a piece of fabric you would like to cut is nicely ironed, it just makes it easier to work with. 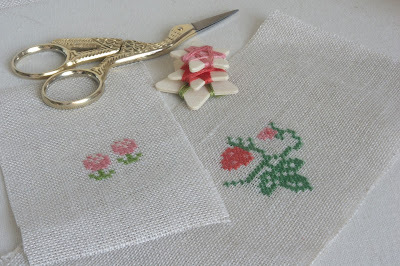 Find a point where you want your cut to be on the fabric. 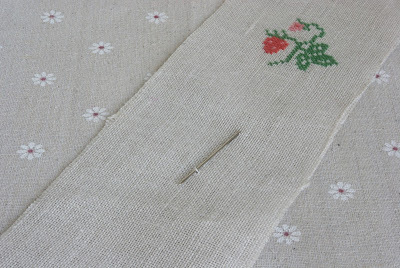 With a thick needle pick a single strand of linen. 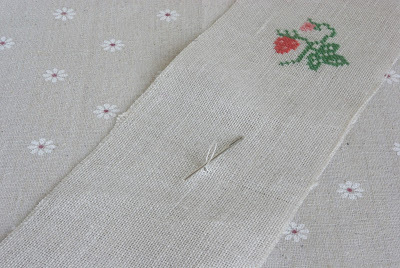 Gently but firmly start pulling the thread out with your fingers. 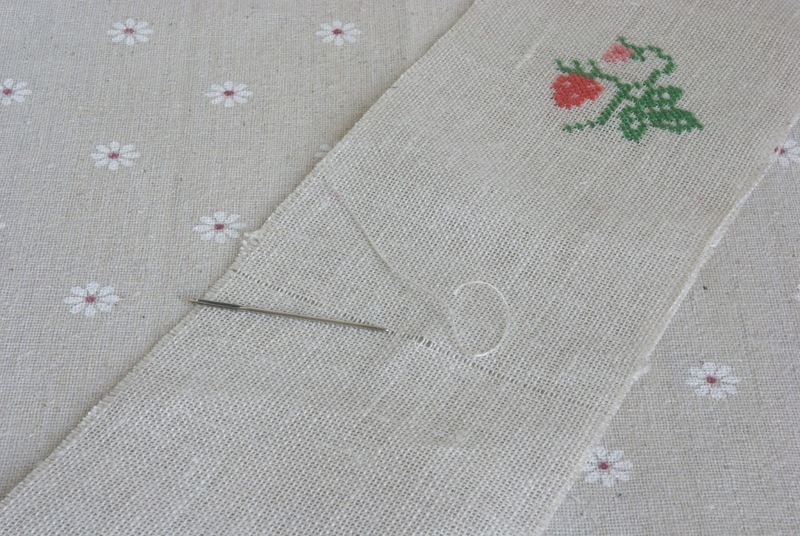 Keep pulling until the thread comes out completely. If the thread you are pulling out snaps, find it and start pulling it out again. Once it's out, you will see a "ladder" like line on the fabric. That's your cutting line. Cut with the scissors on that line. Take your time and make sure that you keep the fabric flat while cutting. You can also use a rotary cutter. And here you have a perfectly straight cut. Nice and easy. I love that little strawberry!